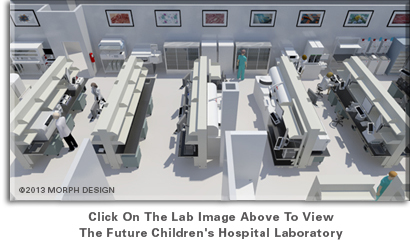 UCSF Benioff Children’s Hospital Oakland @ Laboratory Planning and Design | Los Angeles, CA | Morph Design, Inc.
UCSF Benioff Children’s Hospital Oakland is expanding its Oakland main campus. One component of the Master Plan is a 6-story Outpatient Clinic Building adjacent to an existing Out Patient Clinic Building. The Pathology Department and the Clinical Laboratory will occupy the 6th floor and will serve both outpatient and inpatient populations. deficiencies and establish a highly efficient, LEAN laboratory operation.